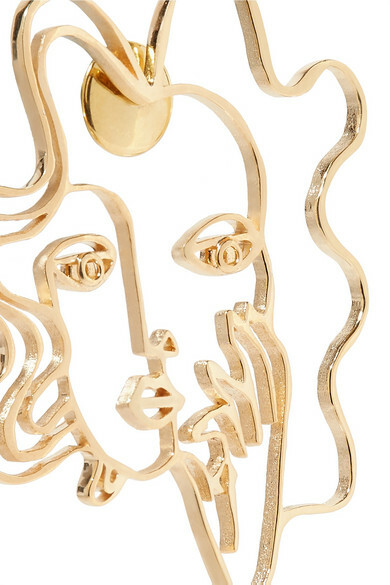 Brazilian-born Paola Vilas studied design at the University of Rio and Central Saint Martins, where she explored the ideas of identity before launching her coveted jewelry line in 2016. 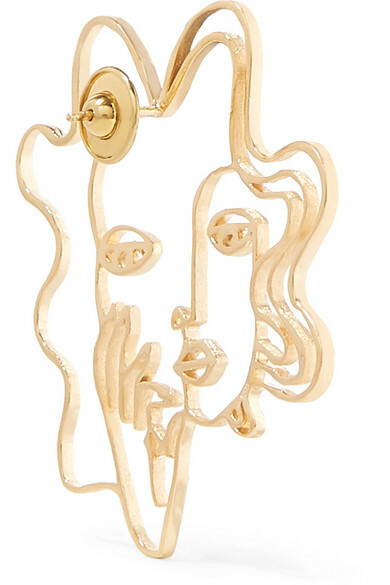 Comparable to wearable art, these 'Olga' earrings (named after one of Pablo Picasso's lovers) are cast from gold-plated silver and sculpted into abstract faces. 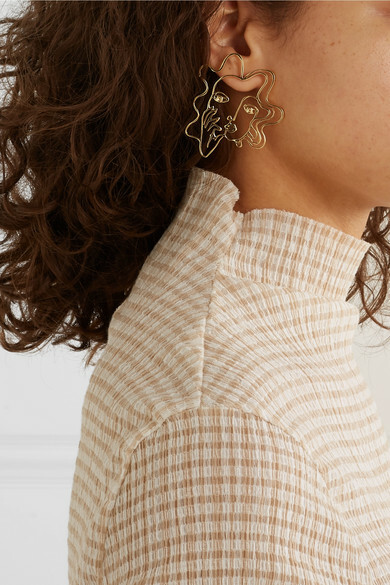 Wear them mismatched with simple studs. Shown here with: Jil Sander Top, Khaite Jeans, Ariana Boussard-Reifel Cuff.